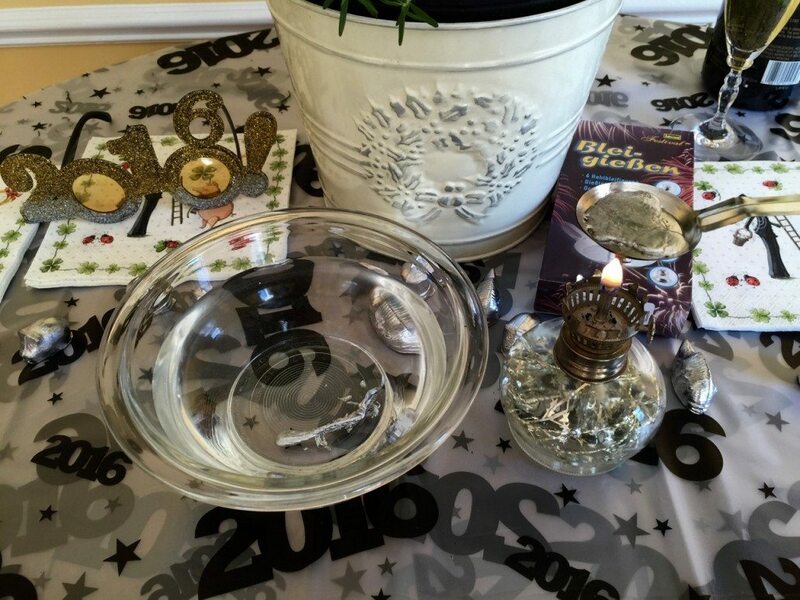 These New Year’s Eve recipes, prophecies, and celebrations are a total blast. 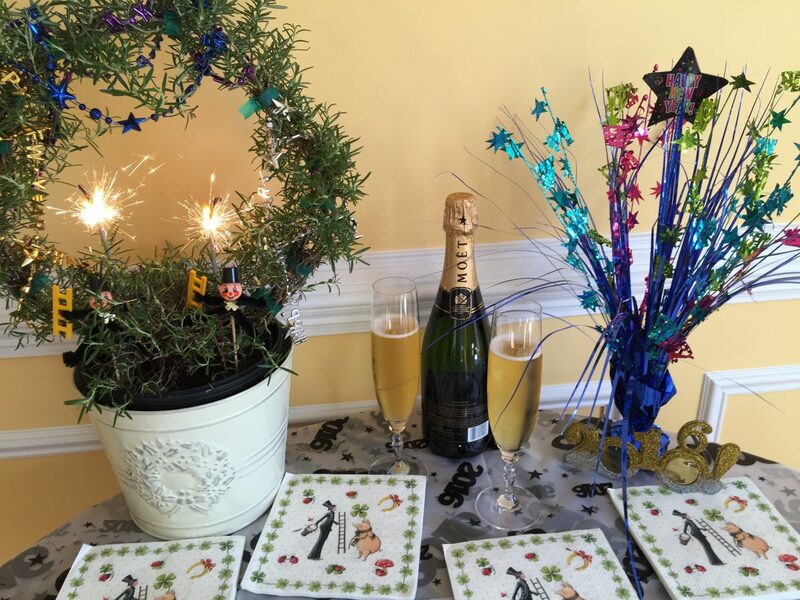 New Year’s Eve is celebrated differently the world over. While New York City is counting down in Time Square and watching the ball drop, the people of Germany are filling the streets and setting off fireworks to the sound of the local church bells. This takes place at midnight in every village, town, and big city throughout the country. The clanging bells and booming rockets are a great way to say goodbye to the old year and welcome in the new. Not to mention, the lights and noises are very effective in chasing away all the bad spirits! New Year’s Eve in Germany is called Silvester and is always accompanied with good food and drink throughout the long night. (See recipes below.) While some are partying in the streets, others might be celebrating quietly at home—playing games and watching “Dinner for One” on TV. This English sketch comedy show has become a New Year’s tradition since the early seventies. Have a look. For many years, I’ve missed the thrill and excitement of watching fireworks in late December. One year, a few days after Christmas and before New Year’s Eve, I heard a surprising “BOOM!” in my backyard. When I opened the door to the deck, I saw a firework display in our garden. Sparkles of light shot in all directions and the stars from the rockets shined over our house.I was confused and delighted—all at the same time. It was my teenage son, with the help of a kind neighbor, who set up the choreographed light show for my birthday. What great memory! It made up for all the years that I missed the fireworks on New Year’s Eve. And to this day, I still consider it the most beautiful fireworks display I have ever seen. Einen Guten Rutsch und Prosit Neujahr. Whether you’re throwing a big party or attending a small gathering, the right dish for the occasion can make all the difference. This New Year’s Eve try one of these great recipes: Shrimp Dip, Marinated Herring, Midnight Soup, Gentlemen’s Layer Cake, and Jam-Filled Sweet Rolls. Click and enjoy! Let’s drink! It’s New Year’s Eve! 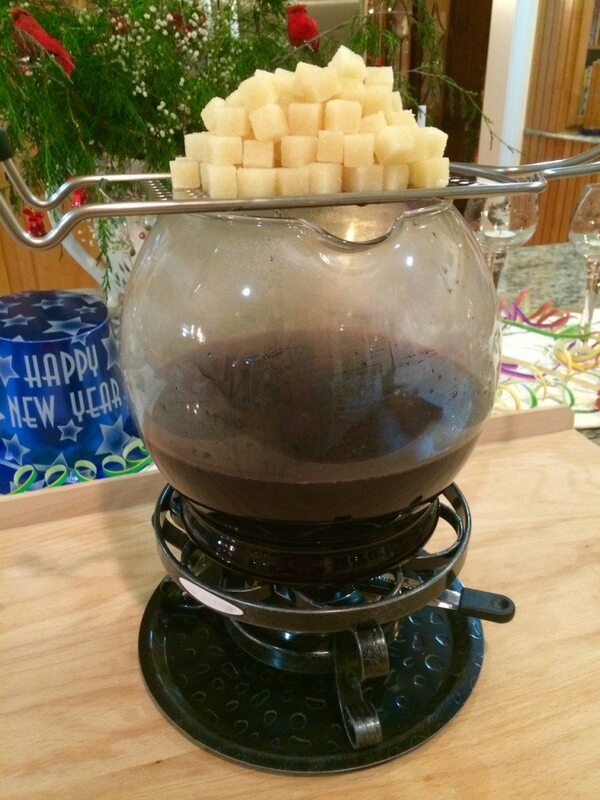 No New Year’s Eve celebration is complete without Fire Tongs Punch. 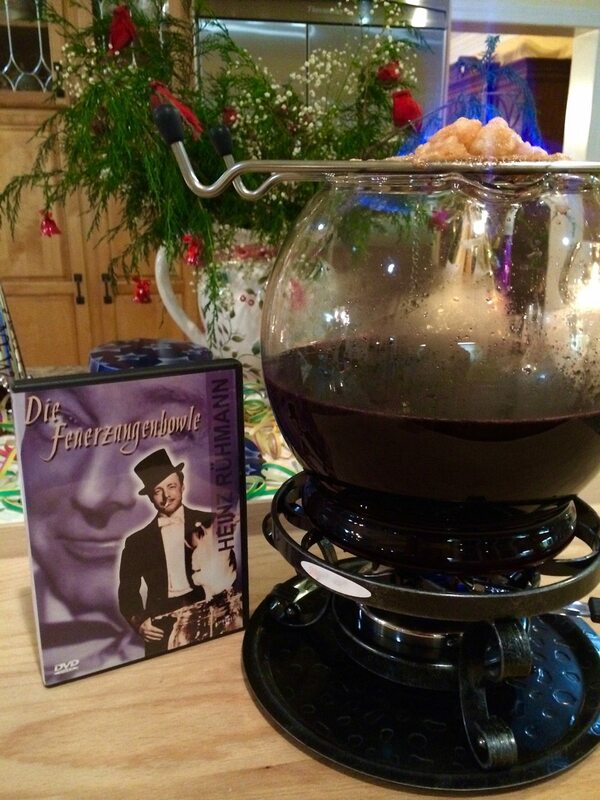 The popularity of this warm, sweet wine punch skyrocketed after the release of its namesake, the 1944 German film Die Feuerzangenbowle. 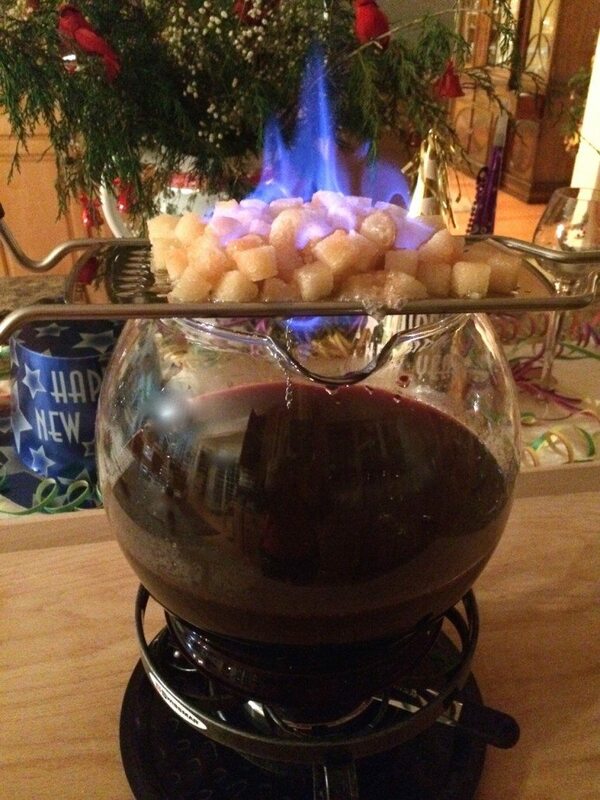 Both are cult classics and a must have on New Year’s Eve. Jägermeister used to be a job title: Master of Hunters. Today, it is better known as an herbal liqueur. Jägermeister was regarded more as a drink for older people—which was used to help digest after a heavy meal. Around 2004, the green bottle was rediscovered by younger adults and became hip in certain circles. It is best served ice cold—which means it needs to be chilled right around the freezing point. Look for the head of a buck on the label (that’s how you know you have a real bottle) and present your Jaegermeister to your New Year’s guests in tubes on a special rack. C’mon, how hip is that? Cheers! New Year’s Luck Traditions Fall for it all: Oma’s end-of-summer gardening tips.